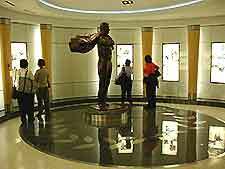 Popular art gallery based at Houston's International Airport. 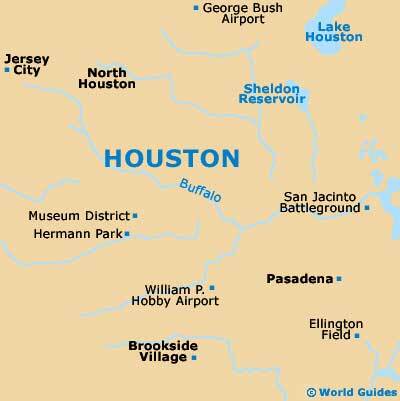 Houston city center is home to a mixture of different architecture, both old and new. 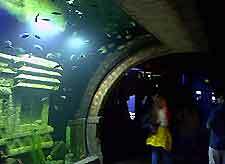 Photo showing the underwater tunnel at the Downtown Aquarium, on Memorial Drive. 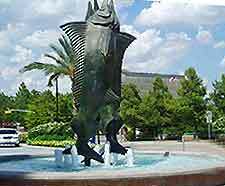 Striking fountain, outside of the Downtown Aquarium. 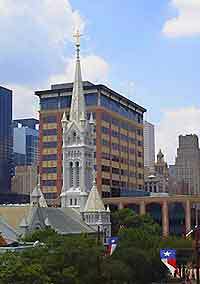 Distant view of the Downtown Aquarium, which contains underwater life from around the world. 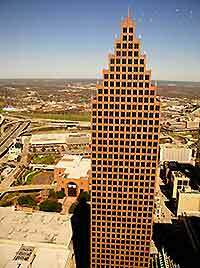 The Bank of America Building, one of the city's most stunning skyscrapers. 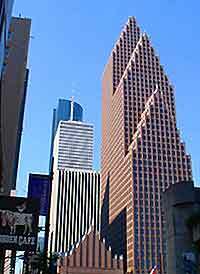 Another view of Houston's Bank of America building. 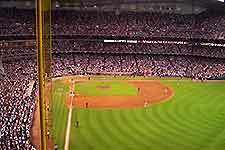 Baseball is a major sport in Houston, attracting thousands of cheering spectators.